I am always surprised at how many winemakers — new and experienced alike — still make wine with absolutely no concern for pH. It’s akin to never checking your engine oil in your car. Sooner or later, you’ll be left stranded by the side of the road, hood open, and smoke billowing from the engine . . . or with a case of spoiled wine. pH greatly affects the taste of wine as well as microbial stability. It can make the difference between drinking the wine or pouring it down the drain. Sure, you may have been making wine for years and never had problems so now you are wondering what the big deal is. Ok, consider yourself lucky. But what if I told you that you can make better wines and that you will become a better winemaker? I always repeat my dad’s words of wisdom: “You are only as good (in your trade or hobby) as your ability to solve problems.” A wine with a pH out of control can soon turn bad. So let’s take a look at why monitoring pH is important, how to control pH and make adjustments. First, a quick refresher on what pH is. pH is a measure of the acidity (or alkalinity) of an aqueous solution, or, in winemaking, juice or wine. Whereas total acidity is a measure of the concentration of all acids in a solution, pH is a measure of the strength of acids; not all acids are equally strong. Consider two solutions with the same concentration: Hydrochloric acid (HCl) and acetic acid (CH3COOH). Although the two have the same concentration, the hydrochloric acid solution is much, much stronger. That’s because the hydrogen atom in HCl dissociates much more readily than the hydrogen atom (the one in the COOH group) in acetic acid. And so, you would find a much greater concentration of dissociated hydrogen atoms in an HCl solution than in one of acetic acid. pH is thus defined relative to the concentration of hydrogen atoms, and more precisely as the negative of the logarithm (to the base 10) of the hydrogen atom concentration in solution. The “negative” part of this definition is what confuses non-chemists. That’s because as acidity increases, pH decreases, and vice versa. For reference, freshly distilled water has a pH of 7. Solutions with a pH less than 7 are acidic and those with a pH greater than 7 are alkaline (or basic). Juice and wine pH are typically in the range 3–4. Why is pH Important in Winemaking? 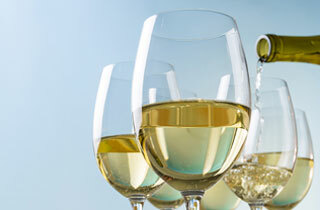 A low-pH wine will taste tart, owing to the higher acid concentration. Conversely, a high-pH wine will taste flat and lack freshness. However, the single most important aspect of pH in winemaking is that microbial stability and spoilage risks are highly correlated to pH. Microorganisms thrive at higher pH. With the less acidic environment, the winemaker needs to compensate with higher doses of sulfur dioxide (SO2) to keep those pesky devils in check. High-pH wines also tend to oxidize faster and therefore not age as well. The ideal juice/wine pH range is 3.2—3.6. Because whites tend to have higher acidity, these will typically have lower pH than reds. That doesn’t mean that wines outside this range are subpar. There are many great wines with pH below 3 or above 4. As a winemaker, and this is important, you simply need to know how to work with juice and wine that are outside this ideal range. For example, a red wine with a pH of 3.9 would require about 60 mg/L (ppm) of free SO2 to inhibit microorganisms whereas a similar wine but with a pH of 3.2 would only require about 13 mg/L. So right there, you can see that monitoring pH is an excellent strategy for determining how much sulfite is actually necessary to help protect the juice or wine. A handy sulfite calculator can be found at http://winemakermag.com/sulfitecalculator to help you calculate sulfite additions. As another example, bacteria used to conduct the malolactic fermentation (MLF) are sensitive to low pH and high SO2 levels. Malolactic bacteria generally need a pH above 3.2 and SO2 levels below 10 mg/L; these characteristics vary by bacterial strain. And of course, along with total titratable acidity (TA), pH can confirm high or low acid levels and the gustatory impacts in a wine. Any deficiencies can be addressed by increasing acidity to decrease pH, and vice versa, reducing acidity to increase pH. The real value in monitoring pH here is the possibility of having to deal with the more challenging cases of high-TA/high-pH or low-TA/low-pH wines. We’ll come back to these. What pH Changes Should You Expect? Under normal winemaking practices and conditions, pH should never swing wildly on its own. If it does, then it points to a serious problem with the wine, or perhaps with your pH-measuring equipment. As part of their metabolism, Saccharomyces cerevisiae yeasts produce some 1 g/L and maybe up to 2 g/L of succinic acid during alcoholic fermentation (AF), which causes a pH drop in the order of 0.1, maybe more. And during malolactic fermentation, bacteria degrade malic acid and convert it into lactic acid, a weaker acid, which causes pH to increase; the increase is proportional to the amount of malic acid metabolized. Cold stabilization is trickier. Cold stabilization is the process of chill-proofing wine so that it does not cause tartrate crystals to form in the bottle if the wine is sub-jected to colder temperatures. The logic with regards to acidity and pH is that, since some tartaric acid is made to crystallize and sediment, acidity decreases along with a proportionate increase in pH. (The extent of tartaric acid crystallization depends on wine chemistry, mainly potassium content, and temperature.) This is in fact what happens at wine pH greater than 3.65; however, below a pH of 3.65, both TA and pH decrease. This phenomenon is due to ionization characteristics of tartaric acid: Bitartrate ion (HT–) concentration increases as pH approaches approximately 3.65, and then decreases as pH increases further. Bitartrate ions are those tartaric acid ions involved in forming tartrate crystals. And of course any exogenous additions of acids or deacidifying agents will alter TA and pH. The changes in TA and pH depend on the acids affected. If you don’t monitor and measure pH in your winemaking, my advice is to purchase a pH meter and getting into the practice of monitoring pH in all your wines on a regular basis, particularly following the winemaking events described earlier. It will be one of the best investments you’ll ever make — along with SO2-measuring equipment. A benchtop model is most useful for analyzing samples in the lab; however, a portable pH meter can be conveniently used in the cellar. Spend the extra money to buy a model that has a resolution of 0.01 and an accuracy of ±0.01; those with an accuracy of ±0.1 have a higher margin of error. Keep in mind that a meter with an accuracy of ±0.1 that reads 3.50 means that the pH can lie anywhere in the range 3.40–3.60. That’s a huge difference given the logarithmic nature of pH measurements. But a pH meter with an accuracy of ±0.01 that reads 3.50 means that the pH can lie anywhere in a much narrower range of 3.49–3.51. Beware of units that have a resolution of 0.01 but which have an actual accuracy of ±0.1. Price is a good indicator here. And remember: Always store your pH meter’s electrode in the recommended storage solution or tap water if you are in a pinch. Never store an electrode in distilled or deionized water. Distilled or deionized water contain virtually no ions, which will drain ions from the electrolyte solution from within the electrode until an equilibrium is reached with the water, and thereby rendering the electrode inoperable. Prior to use, clean the electrode with a suitable cleaning solution to remove any deposits that might otherwise affect performance. As a general recommendation when needing to make adjustments, it is always preferable to blend wines, though, granted, wines with the required “specs” may not always be available. In no case should you blend a subpar wine with a perfectly sound wine. It is not recommended to adjust pH unless there is an absolute need to do so, for example, if you need the pH to be within the tolerance of malolactic bacteria. And it is best to make adjustments in the must/juice prior to the AF; yeast and bacteria (for MLF) will be happier. To lower pH, the most effective method (and as close as natural as it can be) is to add tartaric acid. A 1.0 g/L addition causes a shift of approximately 0.1 in pH. Citric acid is not recommended, at least not in wines that will go through MLF, as malolactic bacteria will metabolize the acid into acetic acid and increase volatile acidity (VA). To increase pH, use a deacidifying agent, such as carbonate salts (e.g., potassium carbonate, potassium bicarbonate), to decrease tartaric acid, or, perform a double-salt precipitation to decrease both tartaric and malic acids in high-TA, high-malic acid wines. Sihadex, Acidex, and Neoanticid are examples of commercial double-salt precipitation preparations. What about those high-TA/high-pH wines or low-TA/low-pH wines? For high-TA/high-pH wines, calcium sulfate (e.g. Plaster of Paris) can be used to lower pH without significantly affecting TA. Trying to add water to lower pH is futile; water only marginally lowers pH. Great amounts would be required for any noticeable change, and then, the wine would be highly diluted. Phosphoric acid (often used as an ingredient in sodas) is another ingredient for reducing the pH level in such wines though its use is not recommended because it affects the taste and texture of wine; it is actually not allowed as an additive in US commercial winemaking. The advantage of phosphoric acid is that it reduces the pH level without significantly altering TA because it is very strong. In home winemaking, use it as a last resort when other pH-reduction techniques are not possible. Use one or two drops of a 30% solution per liter (4–8 drops per gallon) of wine — the pH will decrease more rapidly compared to the equivalent amount of tartaric acid. Monitor the pH level as you add each drop and taste the wine before doing any further corrections. In low-TA/low-pH wines, it is best to blend in some wine with a higher TA and pH. Always perform bench trials on samples before treating a whole batch to ensure that you will achieve the desired results, and treat the batch incrementally while measuring changes in pH (and other parameters of concern) so as not to over-treat. Wine also has what is called “buffer capacity”. This means that a treatment may not have any effect on a wine’s pH until its buffer capacity has been reached, and only then will changes in pH become noticeable. Therefore, by performing bench trials you will be able to get a better preview on how the wine’s pH will change based on your planned course of treatment.